We’ve ended up with an internet built not for us – but for corporations, political parties, and the state’s increasingly nebulous ‘security’ demands. We need to better understand this problem so that we can challenge it. Image: Big Brother Monitoring. Master Tux, Creative Commons. Over the weekend, allegations emerged surrounding the use of Facebook user data by a data analytics firm called Cambridge Analytica. But while they have allegedly broken Facebook’s rules, the real problem is Facebook’s business model. And it’s a model that isn't unique to Facebook. It originated with Google, which realised that the data gathered as people used its search engine could be analysed to predict what they wanted and deliver targeted advertising, and it’s also employed by most ‘free’ online services. This isn't just a problem with Facebook. It's a problem with the internet as it exists today. ‘Surveillance capitalism’ was the term coined in 2015 by Harvard academic Shoshanna Zuboff to describe this large-scale surveillance and modification of human behaviour for profit. It involves predictive analysis of big datasets describing the lives and behaviours of tens or hundreds of millions of people, allowing correlations and patterns to be identified, information about individuals inferred, and future behaviour to be predicted. Attempts are then made to influence this behaviour through personalised and dynamic targeted advertising. This is refined by testing numerous variations of adverts on different demographics to see what works best. Every time you use the internet you are likely the unwitting subject of dozens of experiments trying to figure out how to most effectively extract money from you. Surveillance capitalism monetises our lives for their profit, turning everything that we do into data points to be packaged together as a profile describing us in great detail. Access to that data profile is sold on the advertising market. But it isn’t just access to our data profile that is being sold – it’s access to the powerful behavioural modification tools developed by these corporations, to their knowledge about our psychological vulnerabilities, honed through experimentation over many years. In effect, through their pervasive surveillance apparatus they build up intricate knowledge of the daily lives and behaviours of hundreds of millions of people and then charge other companies to use this knowledge against us for their benefit. And, as increasing numbers of people are realising, surveillance capitalism doesn't just benefit corporations. It benefits political organisations as well – shadowy ones like Cambridge Analytica, yes, but also the mainstream political parties and candidates. The Obama campaign of 2008 is often described as the first ‘big data’ campaign, but it was in 2012 that his team truly innovated. The Obama team’s operations were sophisticated enough that they were able to target voters that the Romney campaign, by their own admission, didn’t even know existed. Their use of analytics-driven microtargeting allowed them to run a highly effective digital campaign and set an example which has been followed repeatedly since. Today, tools like Facebook’s Custom Audiences and Lookalike Audiences, which allow advertisers – including political organisations – to upload lists of people, match them with their Facebook profile, filter in the profiles of similar people who aren’t on their list, and target them all, mean that political campaigns can greatly extend the reach of their carefully-crafted messaging. As Zeynep Tufekci, a professor of sociology at the University of North Carolina, says, if twentieth century political targeted campaigns had magnifying glasses and baseball bats, those of the twenty–first century have acquired telescopes, microscopes and scalpels in the shape of algorithms and analytics. Campaigns can deliver different arguments to different groups of voters, so no two people may ever see the same set of adverts or arguments. This takes political campaigning from being a public process to being a private, personalised affair, helped along by access to the apparatus of surveillance capitalism. Facebook has conducted its own research on the effectiveness of targeted political messaging using its platform. In the 2010 US midterms it found that it was able to increase a user’s likelihood of voting by around 0.4% per cent by telling them that their friends had voted and encouraging them to do the same. It repeated the experiment in 2012 with similar results. That might not sound like much, but on a national scale it translates to around 340,000 extra votes. George Bush won the 2000 election by a few hundred votes in Florida. Donald Trump won in part because he managed to gain 100,000 key votes in the rust belt. And in countries like the UK, where elections are often decided by relatively few marginal constituencies in which political parties focus their efforts, small numbers matter – one study of last year’s election suggest that the Conservative Party was just 401 votes short of an overall majority. Accordingly, in 2013 the Conservatives hired Obama’s 2012 campaign manager, and both the Vote Leave campaign and the Labour Party have boasted about their data operations. The Information Commissioner’s Office, which oversees data protection and privacy regulation in the UK, is investigating the use of these practices here. The new EU General Data Protection Regulation, when it comes into force in May, promises to provide something of a brake. the Government is exploring an agreement with the US that would give British intelligence agencies better access to these databases. But there's also a third group who benefits from the troves of data that surveillance capitalism corporations have gathered about the minutiae of the daily lives of billions of people – the state. The Snowden revelations in 2013 about GCHQ and the NSA’s activities made headlines around the world. Much of the focus was on programmes which involved, among other things, weakening encryption standards, installing backdoors in otherwise secure networking equipment, and placing interceptors on internet backbone cables so as to siphon off the data passing through. These programmes rake in billions of records every day, with GCHQ’s stated aim being to compile a profile of the internet habits of every user on the web. 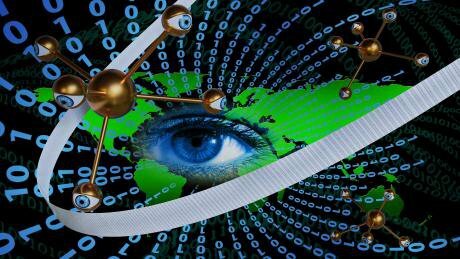 There was, however, another element that was largely overlooked – data sharing between surveillance capitalism and state security and intelligence agencies. In the US, tech companies have long been forced to hand over data about their users to the NSA. When Yahoo refused, they were threatened with a $250,000 fine, every day, with the fine doubling every week that their non-compliance continued. Faced with financial ruin, they acquiesced. In the UK, the Investigatory Powers Act, commonly known as the “snooper’s charter”, grants the security and intelligence agencies legal authority to acquire personal datasets from technology companies in bulk, and the Government is exploring an agreement with the US that would give British intelligence agencies better access to these databases. These are concerning surveillance practices that raise difficult questions about the relationship between the citizen and the state. And since 2013 these questions have been articulated by many – not least by the ECJ, which ruled in 2016 that indiscriminate communications data retention is incompatible with a free and democratic society. This led to the Government's recent consultation on revisions to the parts of the Investigatory Powers Act that allow the Government to require ISPs to retain records of the browsing history of every user in the UK and provide them to security and intelligence agencies, police, and a range of other public authorities upon request and without a warrant or other direct judicial oversight. A challenge brought by Privacy International to the bulk personal dataset powers contained in the Investigatory Powers Act was referred to the ECJ in September. This is how the internet of today has been built. Not for us – for them. Surveillance capitalism – with smartphones, laptops, and the increasing numbers of ‘internet of things’ devices making up its physical infrastructure, watching and tracking everything we do, and the public as willing participants – increases the capacity of corporations, political organisations, and the state to track, influence, and control populations at scale. This is of benefit to those corporations, political organisations, and state agencies economically, politically, and in pursuit of the increasingly nebulous demands of ‘security’. This is how the internet of today has been built. Not for us – for them. This is the future that we've sleepwalked into. We need to look beyond Cambridge Analytica and Facebook. It’s time for a wider debate about the role of surveillance in our increasingly digital society.